Claudio's apartment faces a wall. Rising from bed, he sets his feet on the floor at the same time, to ground himself. Cecilia sits at her window, contemplating a cemetery, the radio her best companion. In parallel and entwining stories that move from Havana to Paris to New York City, no routine, no argument for the pleasures of solitude, can withstand our most human drive to find ourselves in another, and fall in love. And no depth of emotion can protect us from love's inevitable loss. 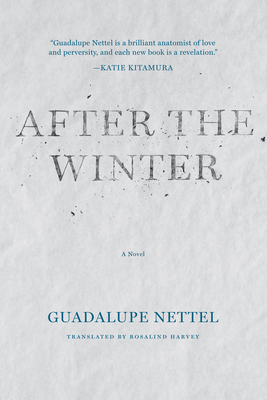 In 2006, Guadalupe Nettel was voted one of the thirty-nine most important Latin American writers under the age of thirty-nine at the Bogot Hay Festival. She has lived in Montreal and Paris, and is now based in Mexico City. Her previous books include Natural Histories and The Body Where I Was Born.